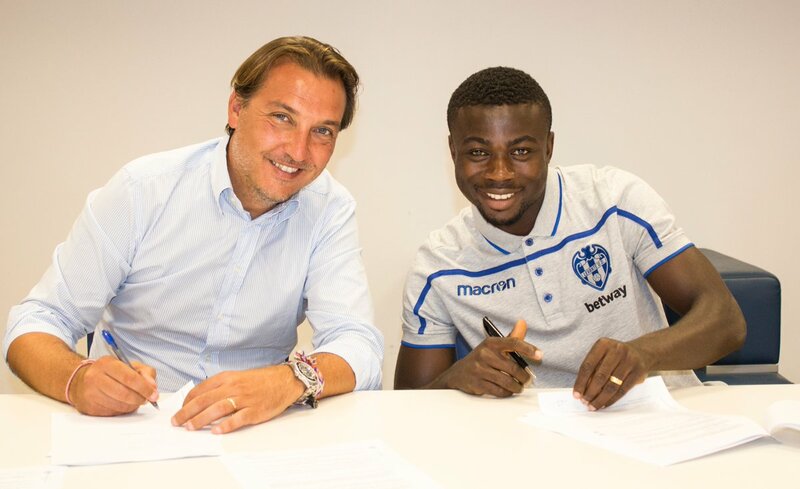 La Liga club UD Levante has completed the signing of Super Eagles winger Moses Simon from Gent. The 23-year old signed a five-year contract with the Spanish side for a reported 4.5m Pounds. Moses Simon missed out of the Nigeria World Cup squad due to an injury he sustained at the beginning of the Super Eagles training camp. He was a Liverpool target earlier in the transfer window as Klopp was looking for sign a pacey winger who can be a squad player and Klopp rated him highly. The Anfield giants decided to sign Shaqiri instead after the World Cup, reasons for this decision is not clear though but it seems they went for a player who has more Premier League experience. Moses Simon is technically gifted and fast, the La Liga will be a good challenge for him and hopefully, Levante can develop his potentials.